Netflix comes out time and time again with reports on how many subscribers it has climbed to, and it has gotten to a point where you wonder just how much bigger it can get. Well, according to one research firm, it can get a lot bigger, and pretty quickly. Netflix revenues for 2010 will be $2.2 billion, projects Screen Digest—that’s roughly equal to the amount the entire U.S. retail rental business will muster for the year. Spending on that latter group will be down 33% from the previous year, largely due to the collapse of bankruptcy-filed Hollywood Video and Blockbuster. Netflix snail-mail business will account for 35% of disc-rental spending in the U.S. this year, up from 26% in 2009. Second only to Netflix by that measure: Blockbuster, with 20%. Coinstar’s Redbox is third, with 19%. But even though the kiosk business had a great year overall, growing 44% to $1.4 billion, Screen Digest forecasts maturation will set in soon for this “rapidly saturating” offering. Spending on the entire disc-rental business is down 4.3% from 2009, to $6.2 billion. That number has been steadily dropping since hitting its high of $8.5 billion in 2001. 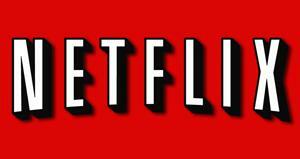 In short, Netflix is working its way towards being the video rental industry. Not a part of it mind you, but being the driving force for the entire thing. Yes, Redbox is still in there with 20 percent of the market, but between these two companies they will control over half of the entire industry. With Blockbuster holding on by a string, the percentages for these two companies could go simply by attrition of the rest of the market. With Netflix moving towards streaming more and more, and Redbox looking into a similar service, the death of the disc could definitely be on the way. What say you? Is there any stopping the growth of Netflix, or will it slowly take over the entire home video market?